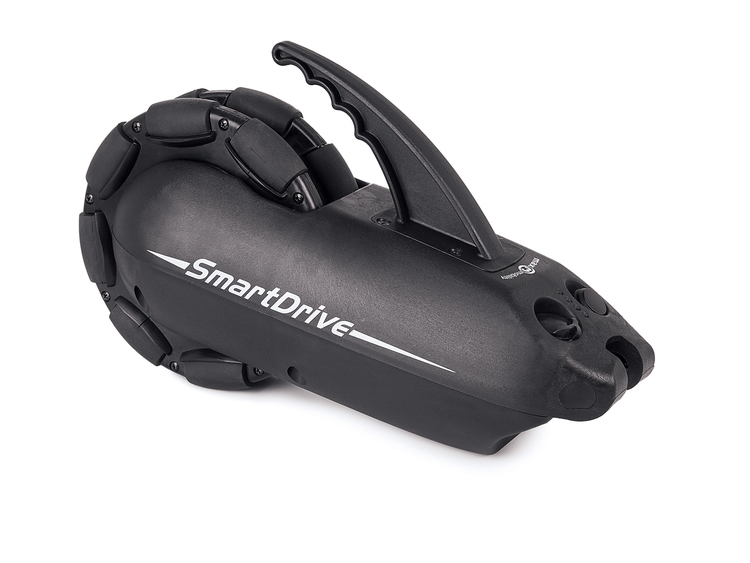 The SmartDrive is a revolutionary new power assist device that will change your life. It is intuitive to use, just push to go and tap then brake to stop, it's that simple. It will go for miles on a single charge. 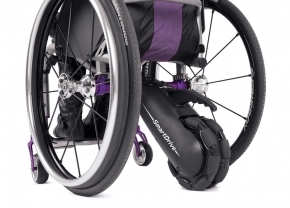 The NEW SmartDrive MX2 + now with the Push Tracker wristband makes the already award-winning wheelchair power assist even better. It can power you up steep hills and through thick carpet. It's intuitive to use and will go for miles on a single charge. Turn on, get out there and rediscover your independence! Using the SmartDrive is natural. You push to go and tap brake to stop, it’s that simple. To go slow, push slow. To go fast, push fast. 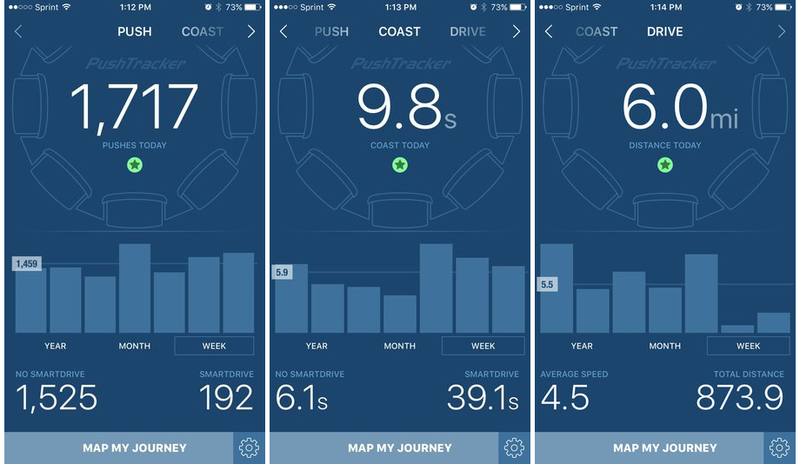 The SmartDrive is like a cruise control and you set the speed by the speed of your push. You turn using the push rims, just like you would turn while going downhill. Free Fitting Service Available Depending on Area. Compact dimensions add nothing to the size of your chair. That means excellent maneuverability in tight spaces. You’ll hardly notice it’s there. Excellent piece of kit !! 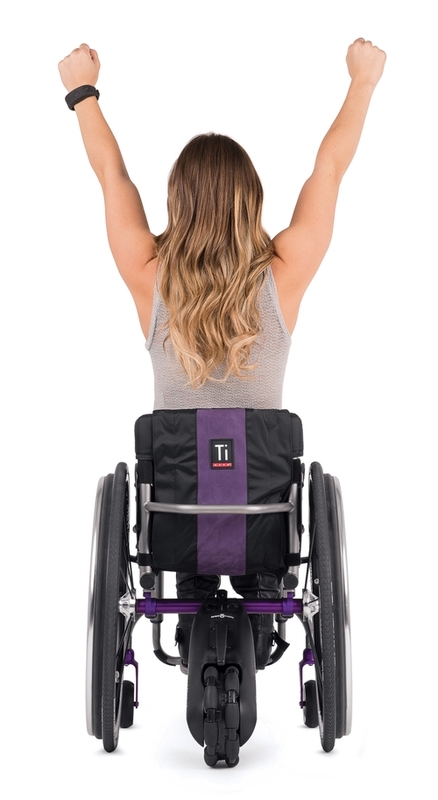 So easy to use and understand, its very robust yet lightweight to put on and off my wheelchair, and this has totally transformed my life and given me my independence back. 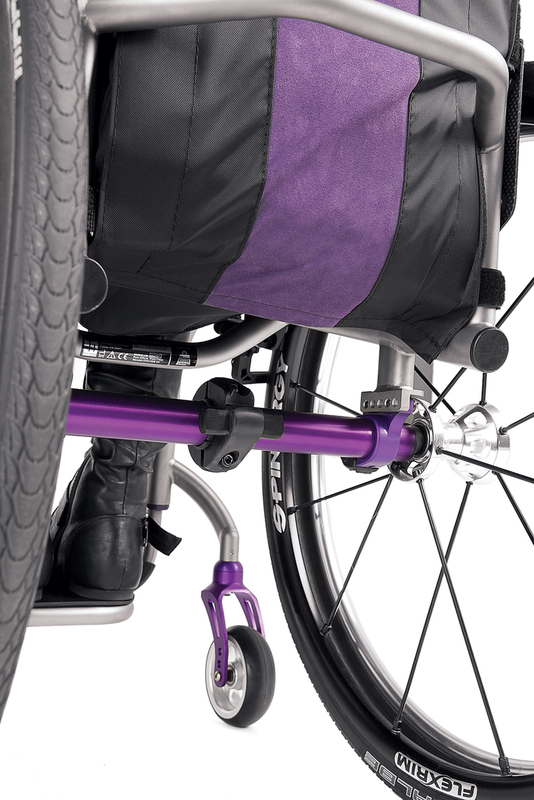 I had so many questions on this product before I purchased it, and Nigel and the staff at Active Mobility were very patient and professional in answering all my questions , they put me at ease and gave me confidence that I was buying the right thing to suit me. I cannot stress enough how much the Smartdrive has changed my life. Well worth every penny ! I cannot stress how much the Smart drive has changed my life . I cannot self propel my wheelchair very far myself due to shoulder problems so always had to rely on other people if I wanted to go anywhere, this little device is so easy for me to just clip on my wheelchair and means I can now be a lot more independent and go to the shops or for a wheel along the sea front. It is easy to use even for a technophobe like myself and I had a full demonstration of this before I purchased it and everything was explained to me in detail but so I would understand it easily. 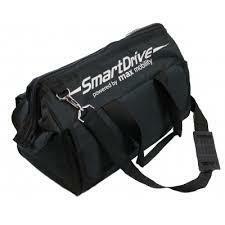 I recommend the Smart Drive to anyone wanting their independence back ! I love, love, love my Smartdrive !! This has given me so much independence and I cannot recommend it enough . Very happy with my purchase. I purchased this after much consideration and research. I was not disappointed. It has changed my life so much , and certainly makes life a lot easier for me. An engineer from Active Mobility Centre delivered and installed this onto my wheelchair, and showed me in full how to use it. 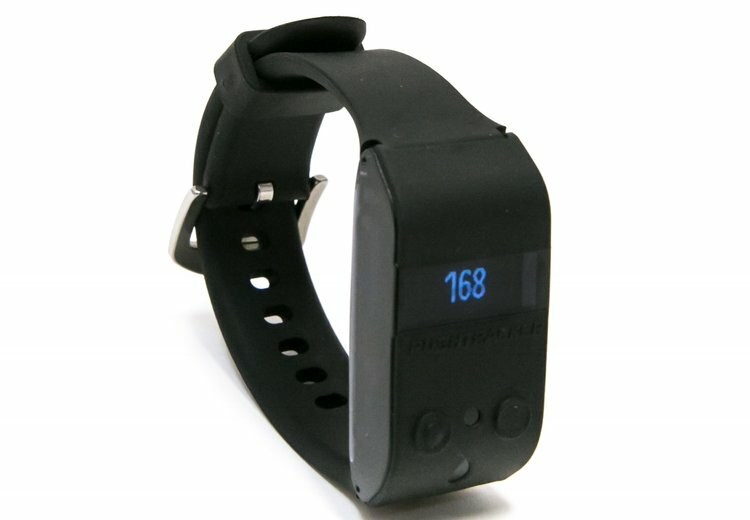 Nothing was a problem for the company and I would certainly recommend them and this product .